One of VITP’s strategic goals is to bridge the gap between University of Victoria and the business industry. VITP’s already strong connection with the University of Victoria provides added value to both the technology park and the community, as opportunities of networking and the exchange of new ideas are possible. UVic is a constant source of fresh and innovative ideas and provides our park with academic resources, research platforms, and enthusiastic student employees. Through our Thought Leadership Series, we hope to encourage student ideas and provide networking and business opportunities for these future leaders. By giving students a chance to listen and interact with thought leaders in our industry, we are planting the seed of inspiration and creating the opportunity for lasting connections. We’ve had the opportunity to work in partnership with the Gustavson Mentor Program at the Peter B. Gustavson School of Business. The Gustavson Mentor Program is one of the special features of the MBA or BCom degree — an unique opportunity for students to keep perspective, develop insights and think through their career plans and choices. The program creates connections and relationships that enrich the learning, careers and lives of both students and mentors.The mentor program only succeeds with the personal support provided by members of the business community, many are Gustavson alumni. This willingness of mentors to “give back” leads students to speak of their mentor relationships as “the best thing that happened to them” during their time at Gustavson. If this sounds like an experience you would like to get involved in or if you just would like to learn more, let’s talk. Please email Robin Dyke, Mentor Program Director, or phone 250-589-4815. Art Aylesworth –President at Armada Pacific Strategies Inc.
Want to receive exclusive invites to our Thought Leadership Series? Sign up for our newsletter and you’ll be the first to know! 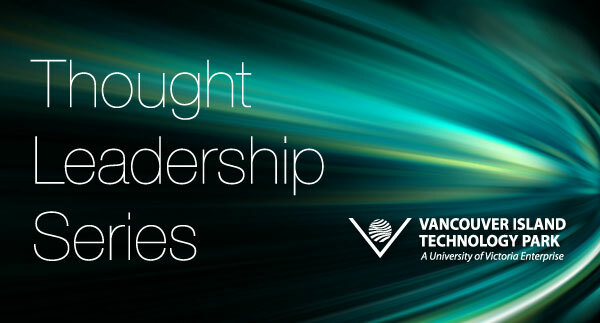 Leadership Series Rob Dyke from Vancouver Island Tech Park on Vimeo.